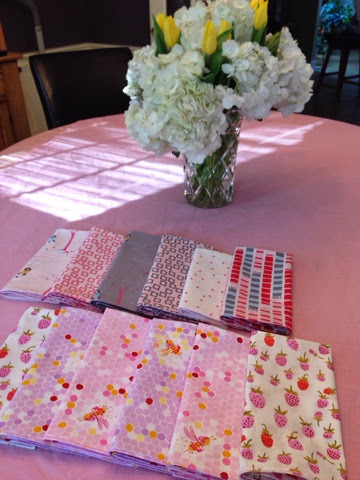 I used some of my pink stash to make double-sided napkins for our Easter dinner. I'd rather be sewing than cooking, that's for sure! You must have had a houseful! Good for you! Did you cook the feast yourself? We had just the 5 of us this time. It didn't seem the same without Evan's sweet girlfriend, Christina, who just lights up the place. Our table was mainly blue gingham, and I didn't make the napkins.